Imagine balancing a 40-pound container on your head and walking three and a half miles home. Sound difficult? Well, it’s the unfortunate daily reality of millions of women and girls around the world. 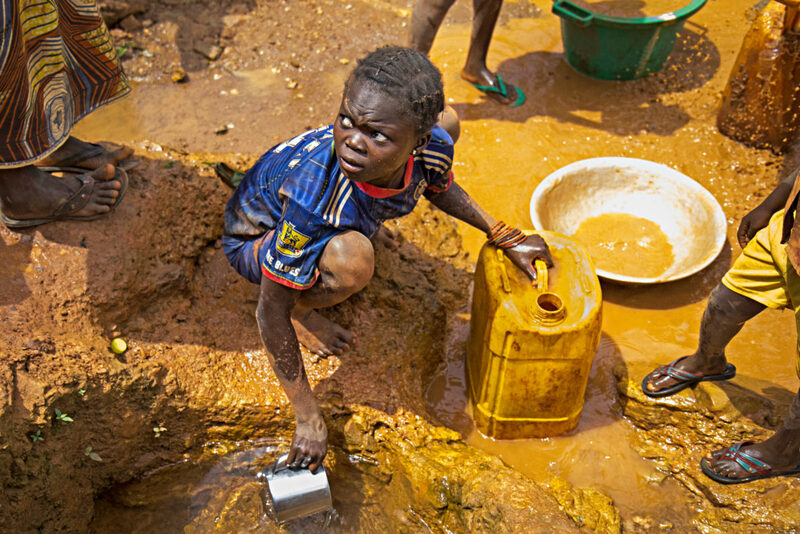 More than two billion people worldwide don’t have clean water available at home. In fact, for hundreds of millions of people, the nearest water source is at least 30 minutes away. 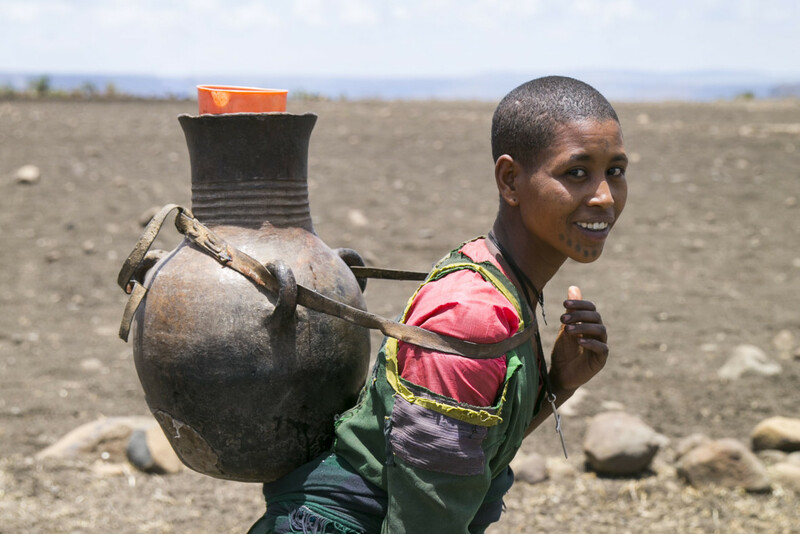 Because the task of fetching water almost always falls to women and girls, they frequently spend hours each day just traveling to and from the nearest water source. One study in Tanzania showed that school attendance increased by 12% when water was available within 15 minutes of home. For some, this problem is actually getting worse. Freshwater is becoming increasingly scarce In many parts of the world, due to changes in climate and pressure from growing populations. The UN estimates that in less than ten years 1.8 billion people will live in areas where there won’t be enough water. If current patterns continue, this will disproportionately impact women and girls who will be forced to spend increasing amounts of time and energy searching for and retrieving water. Imagine what more you could achieve if you were able to free up one, two, or even six hours in your day, every day. For many women and girls, the hours spent fetching water come at a high cost — less time spent studying, working in the fields, or running their own small businesses. The typical jerry can that many women use holds five gallons — that’s 40 pounds when full. One study in Tanzania showed that school attendance increased by 12% when water was available within 15 minutes of home. And when women are busy fetching water, they have less time to work and earn money. This keeps many women — and their families — trapped in a cycle of poverty, unable to earn and save the money they need to achieve a brighter future. Fetching water is also a physically demanding task, which can take a huge toll on the body over time. A typical jerry can (which many women use to carry water) holds five gallons — that’s 40 pounds when full. Women will either hold the can, or, more commonly, balance it on their heads. 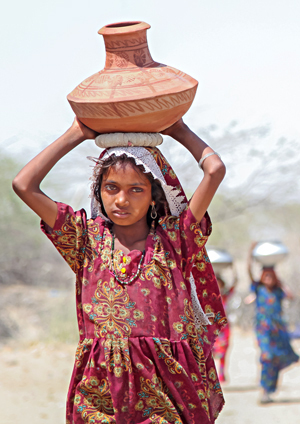 If carrying 40 pounds of water on your head sounds painful, that’s because it is — especially if you’re a young girl. Many women report developing back and spinal pain over time. Women also often get less sleep, as the hours spent fetching water cut into the time they have for other household and family tasks, leading them to stay up later just to keep up. Women and girls are at the heart of everything Concern does — especially when it comes to water. 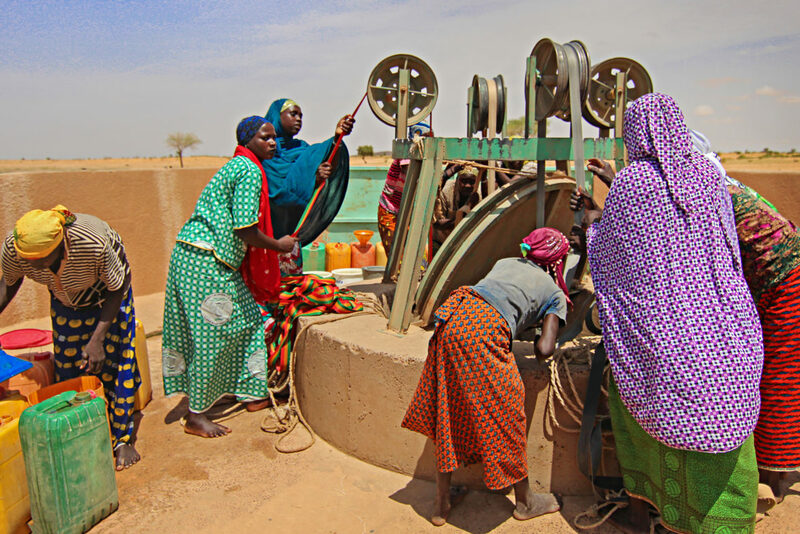 Concern’s water, sanitation & hygiene (WASH) programming builds wells and boreholes in communities so women and girls don’t have to walk for miles to fetch water. During periods of drought or conflict we truck water into vulnerable communities. Concern also teaches good sanitation and hygiene habits, such as handwashing, so that communities stay healthy and children don’t miss school. Water is life… or is it?